Listings of high school yearbooks for Emma Sansom High can be found below. You will find former students who are seeking yearbooks, those looking to sell a yearbook and general yearbook requests among the Emma Sansom yearbook listings. This yearbook section was created to help alumni post yearbook classifieds. I never picked my yearbook up and need one. I would really love to find this yearbook. It was my Senior year and I wasn't able to get one at the time. Since my exwife trashed all my yearbooks,I am looking for 1981-1985. Please let me know if anyone wants to sell me a set. Would like to purchase a 1977 ESH annual. let me know if you have one! I am trying to locate a 1975 and a 1977 Emma Sansom High School Yearbook to purchase. My house burned several years ago and I lost all 3 of my yearbooks. I would like to buy 1973, 1974 and especially 1975. Would like to purchase a 1972 and/or a 1970 yearbook. 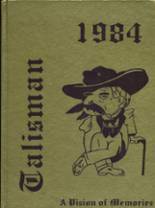 Looking for a 1966 Talisman yearbook.